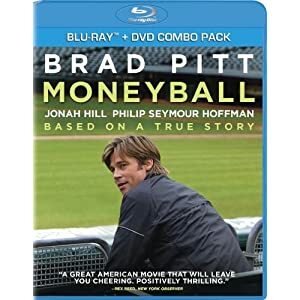 Last week I posted about how the book and movie Moneyball provided great lessons for the social game industry (Lessons from Moneyball for the social game industry post). I just came across a post on the Business 2 Community blog (Game Change: Moneyball and the Reality of Social Business)that did a great job of showing how the lessons from Moneyball and the rise of Billy Beane is so similar to what happens in social businesses (including social gaming). It really makes some great points about hiring, arguably your most important task. I definitely recommend you take a look at the post. Sometimes, a few things happen concurrently that drives home a point, and last week I had one of those moments. Last week, I taught several sections of a marketing class at Duke’s Fuqua School of Business, focusing on new product launches. One question that came up repeatedly was how Apple was so successful despite not following many of the principles I was outlining, particularly on involving customers in the product development phase. We are currently recruiting for multiple positions. If you or any associates are interested in joining one of the fastest-growing social game companies, please have them check out our Resumator Job Board. Given that many readers of this blog are in leadership positions at social game companies, I wanted to pass on the key lessons from an article in the MIT Sloan Management Review on How to Become a Better Leader. The gist of the article is that while great leaders make their work look natural, the reality is that most work very hard to manage or compensate potentially career limiting traits. Even Richard Branson, who seems like one of the most natural and gifted leaders, said he was “shy and retiring” before starting Virgin Airways. I have been lucky enough to be invited to speak at the Social Gaming Summit in Berlin next month. If you are going to be at the show, please let me know if you would like to get together; I will be joined by our CRO and VP Operations. I finally watched Moneyball on DVD and it reminded me how applicable it was to the social game industry. I read the book when it was first published and immediately felt it was applicable to my company, Merscom, as a way for us to gain a competitive advantage despite not having raised as much VC as our competitors. We even asked all new hires to read it. Despite my affinity for Moneyball, I could not bring myself to see the movie as I assumed it would not do justice to the underlying concepts. After seeing the movie, I realized even more that the lessons from Moneyball were directly applicable to the game industry. The scene where scouts sit around in a room and evaluating free agents was almost a carbon copy of many greenlight meetings I have sat through. In those meetings, arrogant game executives and creatives “pontificate” and yell until they decide what games to spend millions developing and marketing. They always argue that there many years of experience and intuition will lead to hits, and they generally end up with multiple failures for every hit. One of my first takeaways from the movie was how important it is to overcome the old way of thinking in the game industry despite institutional resistance. The old timers are going to want to do things their way and are going to look down on making decisions via analytics. To succeed, you are going to need to push analytic solutions and potentially replace people who cannot accept this new way of doing things. Another takeaway came from the Art Howe example, where Beane could not get Howe to make line-up decisions based on analytics so he ended up trading his starting first baseman (Carlos Pena) to force Howe to play the guy with a higher on-base percentage (Scott Hatteberg). The lesson here is that if you cannot get your organization to embrace analytics immediately, you may need to make other moves to prompt your team to take the right path. A final lesson came from the epilogue, where the Boston Red Sox followed the A’s path in embracing analytics and ended up winning the World Series, while the A’s have largely floundered. Although not covered in the film, what largely happened in baseball is that as many team’s embraced analytics, then the A’s advantage over competitors evaporated. In the social game space, obviously most companies use analytics to improve a game’s performance, largely focusing on monetization, engagement and virality. I have argued in other blog posts how important it is to use analytics in all parts of your business, not just game development. I think the experiences in baseball show even more that the only way to sustain a competitive advantage through analytics is to expand their use into ways your competitors do not.